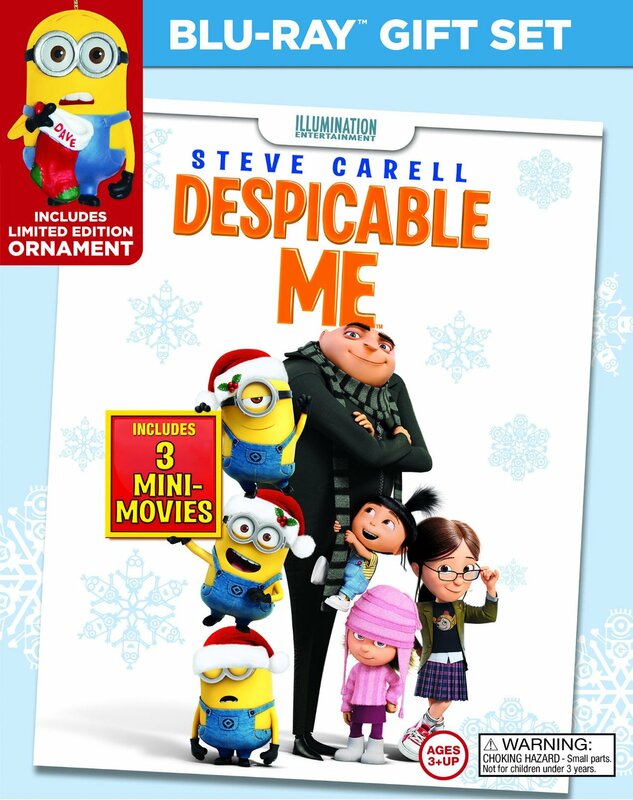 Gru, his adorable girls, and the mischievous Minions are back with this Limited Edition Holiday Blu-ray Gift Set! Grab these DVD/Blu-Rays to watch an unforgettable cast of characters for the Holidays! 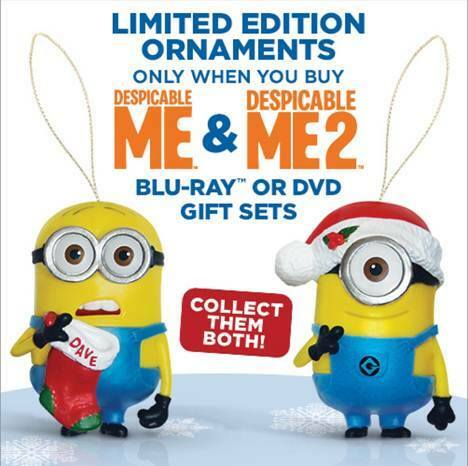 When you buy these Despicable Me 1 & 2 Blu-ray or DVD Gift Sets, you will receive a Dave and Carl Minion Ornaments (One in each package)! Despicable Me – Vying for the title of “World’s Greatest Villain”, Gru (voiced by Steve Carell) – – along with his hilarious crew of mischievous minions – plots to pull off the craziest crime of the century: steal the moon! But when Gru enlists the help of three little girls, they see something in him nobody else has ever seen: the perfect dad. From executive producer Chris Meledandri (Horton Hears a Who, Ice Age 3), and featuring the voices of an all-star comedic cast, including Jason Segel, Russell Brand, Miranda Cosgrove and Julie Andrews, “Despicable Me” is “rousingly funny, heartfelt and imaginative” (Pete Hammond, Boxoffice Magazine). 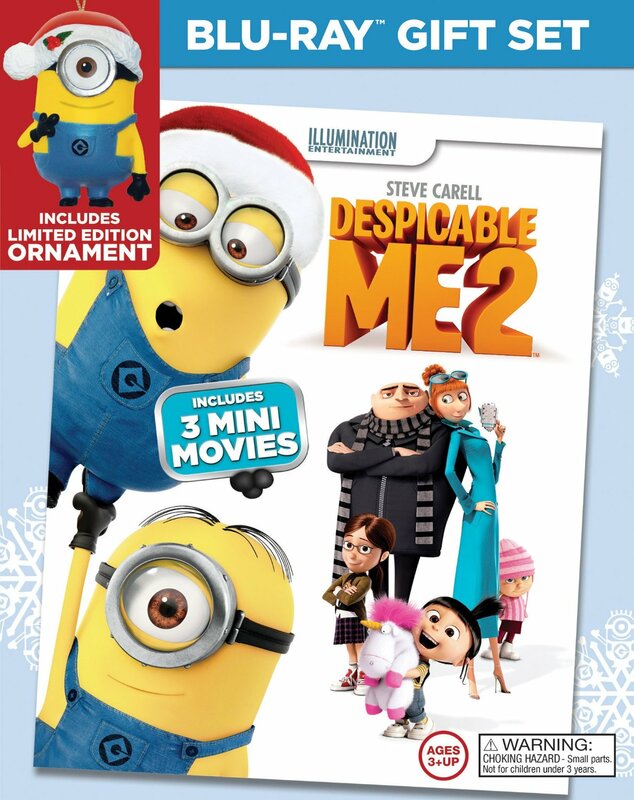 Grab your copies here and get ready for a minion filled Holiday!